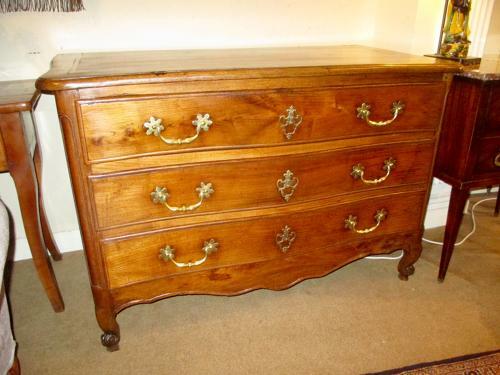 A French country Commode in Chestnut of wonderful warm colour, with original handles, locks and feet. Very nice proportions and size, dating to the mid 18th Century . With three large drawers sitting on small cabriole legs ,and shaped apron. Recently sourced on French buying trip, and getting increasingly difficult to find in this condition.